Do you want to know how to lose weight after 50? Are you sick and tired of ‘trying to lose weight'? Have you had enough of ‘dieting' and eating no carbs? Now is the time to get your health and fitness under control. This post will walk you through 10 of the most simple ways to lose weight after 50. 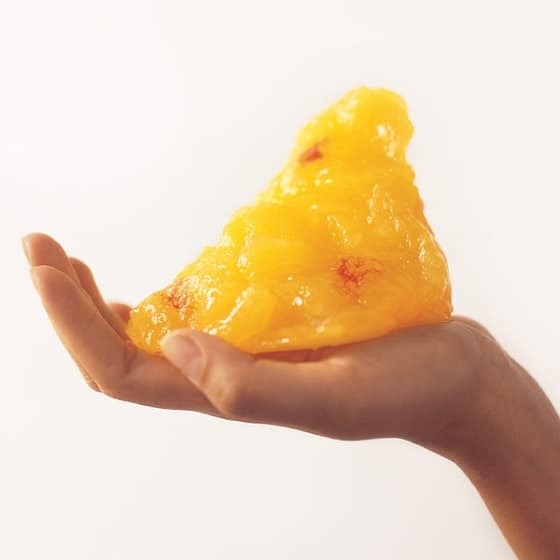 Believe it or not, this is one pound of fat – time to learn how to lose weight after 50 for good. Can there be an easier way to lose body fat fast? No. Compared to running, swimming, weight lifting, karate or gymnastics, no other exercise is as easy as walking. Because we are built to walk! Do you have thirty minutes to one hour a day to invest in your health? You better! How many hours a day do you spend watching TV and being hypnotized by commercial advertising? Watching TV was the leisure activity that occupied the most time (2.8 hours per day). TV accounts for more than half of leisure time, on average, for those age 15 and over. Socializing, such as visiting with friends or attending social events, was the next most common leisure activity, accounting for 43 minutes per day. On average, you are most likely watching between 2 and 3 hours of TV a day. Or reading the news, listening to the radio or music. Do you want to lose body fat fast? Are you serious about finally losing the weight that your doctor or wise self is telling you? Is it obvious that you need to lose weight before you even begin to wonder about how to build more muscle? If you answer yes to any of those questions, you have to start moving that body of yours. You must start to move every day. And walking is the easiest way to begin. But Wait, Aren't We Supposed to Sit as Much as Possible? For most of human history, we got places by walking or running there. Even horse riding takes some physical effort. But these days, we sit most of the day, from morning till night. At the kitchen table, on the couch, in a car, on the sofa, at your desk. Sitting and sitting does not a lean strong body make. Don't think that you will be healthier if you just eat protein, no carbs and don't move. That is not the way to success. We need to work with nature, not against it. Walking is the most natural way to get from one place to another. Start using your human power to move. Make a commitment today to spend at least one hour walking outside if weather permits, walking on a treadmill or walking on the elliptical. Because we are built to walk, the easiest way to lose weight at any age is to start walking! And over 50 you are probably not thinking about rock climbing, at this point. You do not need a coach or trainer how to walk. There are no special skills involved, no equipment needed other than your walking shoes or sneakers. How does walking an hour a day help you to lose body fat? If you are approximately 200 pounds, and you walk for an hour a day, you can lose up to 20 pounds in just five months. If you walk or do the elliptical for that same amount of time at about 3 mph, which is a moderate speed, you will burn about 600 calories in an hour. Over the course of just six days you will have created a net deficit of 3600 calories and if you make no other changes to your diet, you will lose approximately one pound of fat a week. A pound of fat in your body stores 3500 calories, so burning 3600 calories above and beyond what you normally do will require your body to use at least one pound of fat for fuel. Over the course of 20 weeks which is just five months, you will walk off twenty pounds! Do you have an hour a day to improve your health dramatically? Walking is the number one ironclad way to lose weight over 50. Over six months, you can lose 25 pounds by walking alone. Walking is a great example of focusing on burning fat and building muscle rather than starving yourself. Is there something easier than walking to lose weight? Yes, just go to sleep already. Improve your sleep and you can see necessary weight loss on an almost daily basis. Of course, once you reach your ideal weight for your height, there is no reason to lose weight. Now you can start building muscle. If you are a night owl, you know how fast you get the munchies as the night wears on. Eat your dinner and get to sleep by 10 at night if you can. This will help you get at least 8 hours of sleep if you wake up at 6 am. If you don't want to be overweight or obese and you do not want type 2 diabetes, you definitely do not want insulin resistance. Otherwise, just keep burning the midnight candle and snacking on and you can join the “more than 100 million U.S. adults are now living with diabetes or prediabetes”, according to the Centers for Disease Control and Prevention (CDC). After a good sleep at night, your glycogen stores in your muscles will be depleted. As a result, whatever exercise you do in the morning will take energy directly from your fat cells. Timing your workout for first thing in the morning can stimulate greater fat loss. Get your walking shoes or sneakers on after you wake up and do something great for yourself first. You do not need a degree in nutritional science to know that a Reese's peanut butter cup is the wrong type of fat! No offense to Reese's, as this applies to all junk food. Do you need a doctorate to know that junk food creates a junk body? To lose your excess body fat, you need to eat the best fats and the best carbs. If you turn off your TV and stop watching the fake processed food commercials, you can figure out which are the best fats and carbs. Avocado, nuts, olive oil, organic free range eggs, now we are talking about good fats that are found in nature. What is a better carb, a snickers bar or a sweet potato? The snickers bar is full of simple carbs that take little time to end up in your bloodstream as blood sugar. While the sweet potato takes time for your body to digest and break it down. The sweet potato is an example of a complex carb. Complex carbs do not usually come in packages. They grow, from the earth and are not manufactured in a factory by food scientists who spend their lives getting you addicted to their company's product line. Complex, real carbs are your best friend when you want to get healthy, lose body fat fast or even get ripped. The best time to eat your complex carbs is after a workout, when your muscles are hungry for fuel. What kind of carbs grow in the ground? Sweet potatoes, white potatoes, yellow potatoes, red potatoes, beans, rice, oats. The worst carbs are just about any carb in a wrapper. Like my favorite nosh of all time – oreo cookies, or white bread, brown bread, black bread, any bread. Avoid bread like the plague. I know that hurts, it hurt me too until I finally said that I had enough and was going to see if it was possible to live without bread. Stop eating bread if you want to lose body fat fast. You can live without processed bread. You can experience dramatic reduction in your body fat percentage just by cutting out the heavily processed breads and pastas. What else can you eat when you miss that starchy feeling? Try sweet potatoes, potatoes, cauliflower, broccoli, spinach, watercress and arugula and fresh corn instead. When you go out to eat at a restaurant, do not give in to the bread basket. Have a soup as an appetizer, get a salad, and you can order a sweet potato, salmon and veggies as an example. You know what junk food is. Manufactured food, artificial food, processed food. Just stop putting this mess into your body. Water is critical for fat loss because water is important to help your liver metabolize fat. You have certainly heard of many successful weight loss stories that revolve around drinking more water. Fitness models and bodybuilders have been seen toting their water bottles along with them during the day for years. Success leaves clues. Drinking enough water will help you lose body fat fast. Make a goal of drinking at least a gallon of water per day. You would rather go in the gym, sit in a machine and lift a bit. Right? Well, haven't you done that before? Maybe you have been going to the gym and using machines for years. Still no big change in your body, right? Do you want to dramatically transform your body ? Deadlifting is a great exercise because it works so many muscles of your body at one time. You can also deadlift even if you are a bit overweight. Think of the many deadlifters that you see in the Olympics who look quite large. You do not need to be a gymnast to deadlift. Building muscle will increase your metabolic rate as long as you maintain the muscle. The more muscle you have, the more body fat you will burn. Deadlifting is a natural movement, picking up a weight off of the ground. Read this to learn more about the many benefits of deadlifts. Getting to your destination is always easier when you follow a roadmap or a plan. Having no plan is like setting out on a trip with no route in mind. More than likely, you will get lost. Most people have no plan, and therefore never reach their goal. And you will be left still ‘trying to lose weight' as every new year eve resolution time rolls around. Except you will probably be heavier every year with even more weight to lose. So, either make a plan, or follow a plan. I wrote how to lose 20 pounds in 3 months using 5 simple steps to help you reach your goal. Everything you need to lose weight and get fitter than ever before is at your fingertips. Follow a proven plan to get you to where you want to go. This is how to lose weight after 50 and for that matter, any age. Even after having a plan to follow, you can only gain with a good coach. Having a coach, especially someone who has travelled the same road as you, will help to motivate and inspire you. When you have support and experience that can guide you, this can make all the difference when you want to achieve real body transformation. The best coach is someone who has both knowledge and can empathize with your goals. Do not try to lose body fat fast in one day, one week or one month. How long did it take you to put on your weight in the first place? Ten, twenty or thirty years? You should congratulate yourself that you know if you do not take action now, you will surely not get lean or strong. Eight or ten pounds in a month is more than enough. After 2 or 3 months when you are down 20 pounds, the comments and compliments will start rolling in. Your friends and neighbors will be surprised, shocked and even inspired by you. Crash diets are just that, they are going to lead to a crash in your metabolism and mood. The most effective way to lose body fat fast, is the long term slow approach. You do not need to count calories, you need to eat real food and start moving like a human being was designed to move. You might think that after 50 you have gone over to the dark side, or what's the use, or it is too hard to lose weight at this point. But, that is not accurate. In fact, make sure to read and watch the videos about one grandmother who changed her life at the age of 76. The best advice is to be patient and improve your daily habits, one day at a time. In this post you learned about the most powerful and simplest ways how to lose weight after 50. Do you agree? What other ways would you include?